East Bay companies ride into work! 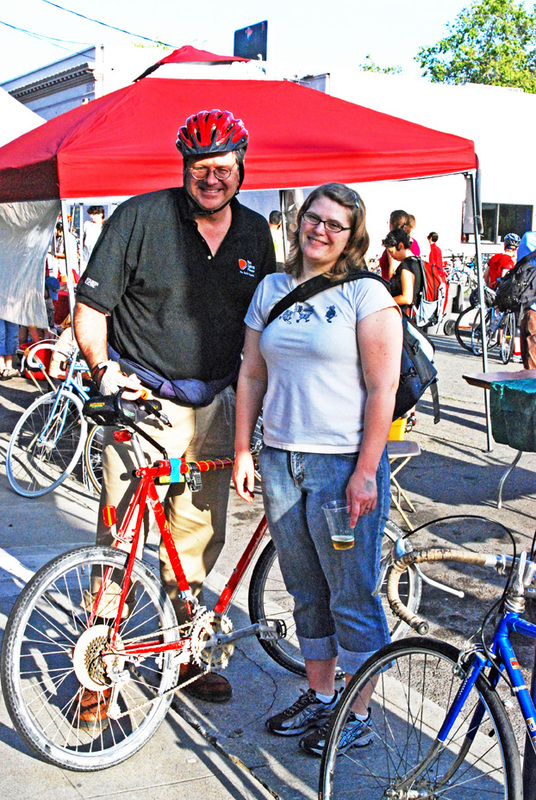 For the 2nd year in a row, the EBBC will recognize these three bike-friendly workplaces at our fabulous Bike Away from Work Party in Old Oakland on Bike to Work Day, Thursday, May 12, 2011. “We have had numerous nominations from our members in the first two years of the competition,” said Renee Rivera, Executive Director of the EBBC, “and I wish we could make 30 awards instead of three. So many businesses in the East Bay realize that cycling to work makes their employees healthier, happier, and more productive. It’s good for business as well as for the planet. Each year, we recognize those companies, like Clif Bar, Sun Light & Power, and Alta Planning & Design, that have taken that extra step to motivate their employees to cycle to work.” Congratulations to three workplaces that set an example for all. CLIF BAR CLIF BAR is not only a nutritious snack. Originating as a concept while riding a bike, CLIF evolved into a holistic, environmentally conscious organization focused on creating an energy-boosting bar. The bar itself spawned from a bike ride adventure and the need to satisfy an appetite while exploring the outdoors. Whether it be for the morning commuter or the competitive rider, CLIF BAR has a place for everyone. Many supporters of CLIF BAR agree with this sentiment, making them one of three winners for the Bike-Friendly Business Awards in the East Bay. An especially remarkable program offered by CLIF BAR amongst an array of admirable accomplishments is the Cool Commute Program. Jen Freitas, CLIF’s Human Resources Manager, describes the program as an incentive for staff to choose biking as an alternative source of transportation to commute to work. By providing their employees “with $500 to use towards the purchase of a commuter bike or to make commute-related retrofits to an existing bike,” employees are supported in their efforts to reduce their carbon impact. In exchange for the cash reward, employees commit to biking to work at least twice a month or can pledge to take the 2-mile challenge. Meet Sun Light & Power, the oldest Solar Company in California based out of our very own East Bay. 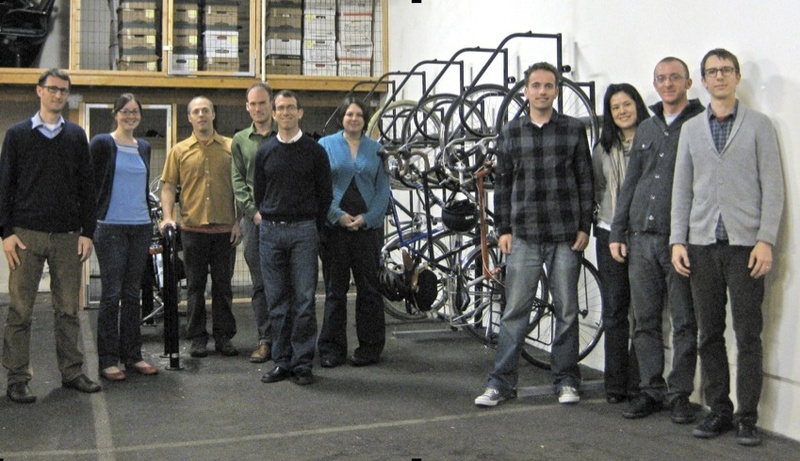 Inherently a construction-based company, SLP shows exemplary bicycle-friendliness as most employees choose to live in close proximity to the central Berkeley office for accommodating biking to work. For off-site jobs, SLP also provides a company, biofuel-powered truck to transport employees and oversized construction materials. As active participants of East Bay Bicycle Coalition’s sponsored Bike to Work Day, SLP employees commemorated their 2010 Company Bike Challenge victory with custom designed t-shirts as a reminder of their employees’ dedication and dexterity for all the miles traveled to and from work on bike. The Company Bike Challenge is a part of the Team Bike Challenge. Kim Pedley, SLP’s Executive Assistant, praises SLP staff, explaining that “approximately 80% of employees participated in [last year’s] Bike to Work Challenge…includ[ing] every Manager [and] Executive.” Featured is SLP’s very own participant, Martin Aurora, posing for a quick photograph to celebrate the day’s event of East Bay community members committed to biking to work at last year’s Bike to Work Day event. Rain or sunshine, SLP employees are not inhibited by the East Bay’s fluctuating weather. Pedley adds that an average of 20 employees bike year round to work with numbers increasing during the sunny months. And to accommodate dedicated commuters, SLP installed a covered bike parking area as well as providing neon safety vests and bicycle maintenance tools on the premises for employees to share and use. Sun Light & Power is recognized for their collective style of practicing green ideologies through their commitment to “the reduction of global carbon footprint.” Pedley notes that SLP is environmentally conscious in a myriad of ways, ranging from office waste recycling to employee bike commuting, the company exemplifies multiple sustainable practices in-and-out of the office. As an award recipient of East Bay Bicycle Coalition’s Bike-Friendly Business Award, Sun Light & Power was nominated for their many ways of being bike-friendly, specifically by providing a fully-equipped company bike for running errands and hassle-free parking. The eclectic staff of engineers, system installers, project managers, electrical system designers and financial contractors comprise a stellar team who work together to provide services in alternative energy systems and designs for the community. 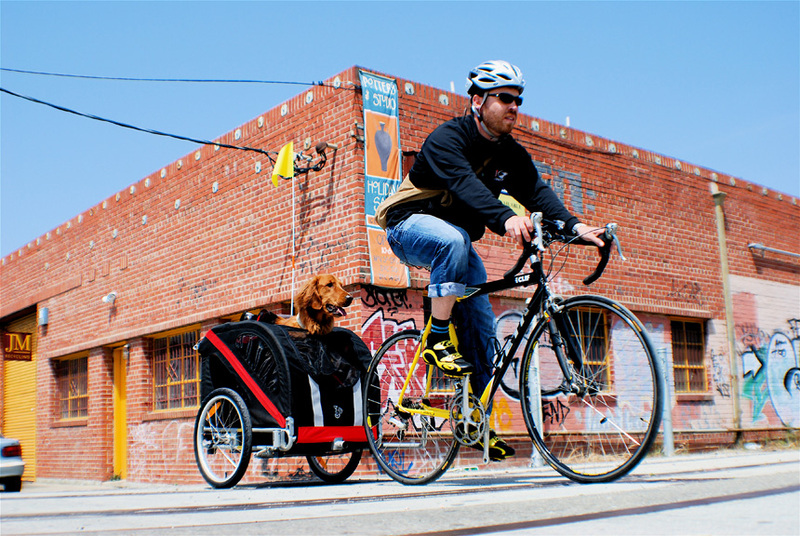 Hand-in-hand with supporting alternative modes of transportation, Pedley emphasizes the company’s mission to “create living environments that serve people’s intrinsic needs” not only as a business but also as employees who represent a lifestyle committed to environmental preservation. Alta Planning & Design Introducing another winner of the Bicycle-Friendly Business Award: Alta Planning & Design. With its second largest office in Berkeley, Alta provides consultant services nationwide for bicycle and pedestrian planning and design. At the local level Alta supports bicycling as an integral part of the East Bay transportation system, creating design strategies that accommodate the needs of bicyclists and pedestrians. While focusing on strategies and solutions for healthier, safer bicycle commuting in the community, Alta also devotes time and effort to supporting their employees. Part of an extensive list of resources, employees receive great benefits such as access to secure bike parking in an enclosed garage, shower and sauna facilities, and annual stipends for bike tune-ups. installed 12-bike parking spaces in their automobile parking stall.